The next generation of heavy timber building systems is about to transform the design and construction of many buildings in Australia. An engineered timber building product, CLT is widely used internationally, particularly in Europe. Although it is not currently widely used in Australia, the potential for its specification in dividing walls, floors and ceilings is increasingly evident, particularly for multi-storey residential buildings. These buildings have acoustic requirements, stipulated in Australia by the National Construction Code, Building Code of Australia (BCA) or by a relevant Local Government Authority. Previous acoustic research programs covering CLT have been conducted in Europe and North America. The applicability of this data to the Australian market is limited due to the design of the testing to address codes that are not relevant to Australia. The overseas test elements also often include construction materials that are not available or not in widespread use here. 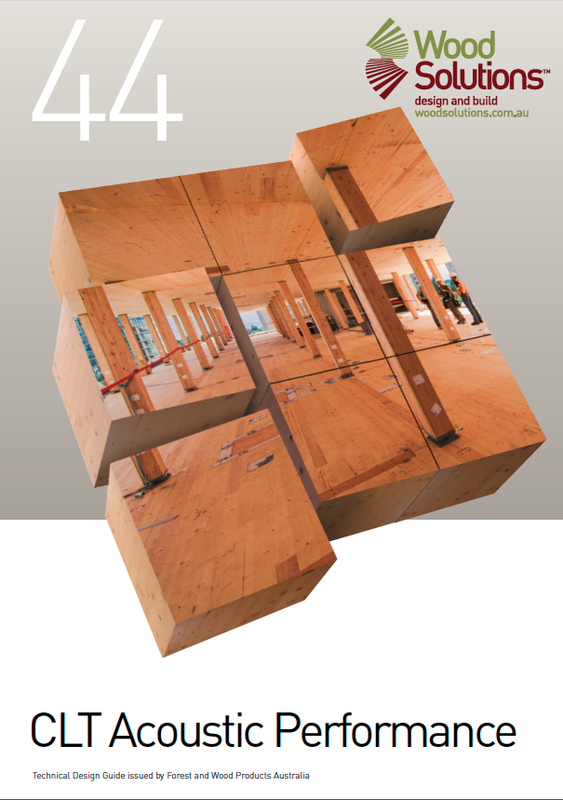 The new guide contains the results of a research program into the acoustic performance of CLT in various system configurations, with the aim of demonstrating compliance with the NCC. The acoustic testing was managed by PKA Acoustic Consulting and carried out at New Zealand’s Auckland University Acoustic Laboratory. As CLT panels are available from different suppliers, the study used test panels from various manufacturers. The same CLT panel configuration from multiple suppliers was tested to allow for the variability of CLT products. Typical compliant floor and wall options are covered in the guide.